Stay Connected with MedExamsPrep & Make a Difference to Your NEET PG 2018! Stay ahead in NEET PG 2018 entrance exams with online mock tests. Read latest articles on NEET PG 2018. Get information on TOP Medical colleges. NEET PG 2018 Free Counseling is conducted by the National Board of Education (NBE). Scores obtained in NEET PG exam are accepted by the deemed universities, government and private colleges throughout the country. NEET PG 2018 Counseling will be a centralized counseling and will be conducted for all the states, union territories and institutions across India. The Medical Counseling Committee (MCC) conducts NEET PG counseling on all India basis for All India 50 percent quota seats. Candidates who meet the eligibility criteria and who have registered themselves on the website for taking part in the NEET PG counseling get admission to the respective PG colleges. All the Indian states and Union Territories generate the merit list for admission in 50 percent state quota seats. NEET PG 2018 counseling will commence soon after NEET PG 2018 result will be announced. NEET PG 2018 exam will be held in online mode on January 7th, 2018 and the result for NEET PG 2018 will be announced on January 31st, 2018. Once the results are declared candidates will be able to attend the counseling process and to attend the counseling it is mandatory to register on the NBE website. The registration for the same is to start from the second or third week of March 2018. Candidates can access the full schedule of the counseling from the official website. All India 50 percent Quota Seats: Medical Counseling Committee (MCC) of Directorate General of Health Services (DGHS) will conduct NEET PG counseling basis NEET PG 2018 Score. State Quota Seats: The concerned state or designated authority or Concerned University will do NEET PG counseling basis NEET PG 2017 Results or rank. Institutions/Universities/Deemed Universities/ Private Medical Colleges: The concerned/designated college authorities will conduct the NEET PG 2018 counseling for private medical colleges, institutions and universities. Admission to Armed Forces Medical Services Institute: Admission to medical services institutions will be provided based on NEET PG 2018 exam score. The counseling process for the same is conducted by the Directorate General of Armed Forces Medical Services (DGAFMS), Ministry of Defense government of India. NEET PG 2018 Admit Card. Higher secondary certificate/ high school/birth certificate. Permanent/Provisional Registration Certificate approved by MCI OR State Medical Council. Transfer Certificate of the last college attended. For taking part in NEET PG 2018 Counseling, it is mandatory for the candidates to secure a minimum pass percentile. 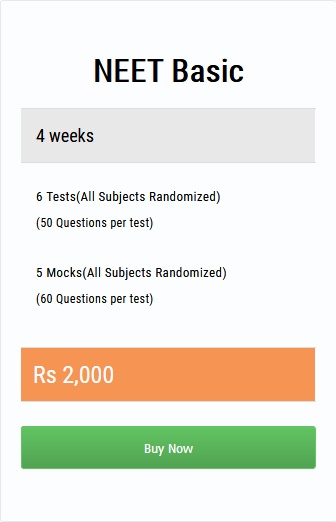 Here is the category wise detail of the percentile required to take part in NEET PG counseling. Here is NEET PG 2017 cut off list for All India 50 percent quota seats to give candidates an idea as to how high the competition is going to be and the level of preparation will be needed to secure a seat in the medical college and specialization of their choice.